It is probably fair to say that Swift Binoculars are not as well known as some of the bigger brands, but they have been around for a long time producing quality optics. An American company, established almost 90 yeast ago in the 1920's, Swift Sport Optics produce high quality binoculars, rifle scopes, pistol scopes and spotting scopes aimed mostly at bird watchers, nature viewing, hunters and for sports and marine use. As well as sport optics, Swift optics also manufacture microscopes including a fully integrated, memory enabled, digital video microscope. Swift Optics have a small, but dedicated following who appreciate the quality of product and customer service that a smaller company can provide. Swift make it a priority to listen and gather feedback from their customers and because of this they are certain that they have designed some of the finest, most practical binoculars, spotting scopes, riflescopes and pistol scopes available anywhere on the market today. Opened for business during the boom times in the USA and with advances in optical technology and their many innovations, they continued to prosper during the poorer economic times that followed. According to Swift Optics, it is this staying power that has helped them to become a trusted brand to those in the know. The Swift binocular range focuses on the birder, nature viewer and those looking for marine binoculars. 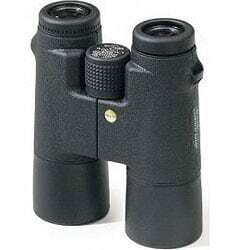 They do however also have binoculars ideal for general use, sporting events and hunting. Their Premier High Performance binoculars contains three different series of binoculars: the Eaglet, Audubon, and SeaWolf. The Swift Premier binoculars include the Ultra, Seahawk, and Horizon series.The Standard Collection of binoculars contain the Aerolite and Compact binoculars. Their Premier high performance binoculars all come with superior optical coatings, BaK-4 prisms and are fully waterproof, which is pretty much what you would expect from high end optics. The type of warranty offered by Swift, depends of which binocular you have. The Premier and High Performance Premier models have a 25 year warranty, protecting against defects and workmanship of the binoculars, and the Reliant models have a five year warranty. They only cover defects from normal use outlined in their instruction manuals and will either repair or replace the pair of binoculars. Swift offer a good range of binoculars, from the premium optics aimed at the high end of the market, to cheap binoculars for the casual observer. The prices of Swift binoculars range from $60 to $500. The cheapest series are the Aerolite binoculars, whilst the SeaWolf Marine 10X50 binoculars and Audubon ED 8.5X44 binoculars are aimed at the top end of the market. The high end Audubon binoculars are popular as are the Eaglet binoculars, that are popular with birders and for general nature and wildlife observation. Haitian-born American ornithologist and artist whose extensive observations of eastern North American avifauna led to the publication of The Birds of America (1827-1838), a collection of his engravings that is considered a classic work in ornithology and American art. There are three models within the range of Swift Audubon binoculars. All three are 8.5x44 binoculars, two of which are of a Porro Prism design and one a Roof Prism and all come with the excellent SwiftPremier Twenty Five Year Warranty. The Porro Prism designs come with a five lens ocular system, excellent BaK4 prisms and have fully multi-coated optics. The 19mm of eye relief on the pop and lock eyecups is more than enough for most eyeglass wearers. Fully Waterproof, Fogproof & Shock Proof, the lightweight body is made from magnesium and is rubber coated for a secure grip and protection from day to day knocks and bumps. Of the two Porro Prism 8.5x44 Audubon binoculars, the top of the range 820ED Audubon has an Extra low Dispersion (ED) lens. This Extra low Dispersion Glass provides exceptional, precise color definition, while promoting optimum resolution and sharpest possible images and thus further expands the viewing capabilities of fine optics. Like the Porro Prism, the Roof Prism Audubon binoculars use the high qulaity BaK4 prisms, fully multi-coated optics, twist-up eyecups with an excellent 19mm of eye relief, and lightweight rubber armored body. Newer models also have a left diopter adjustment operated from the center focus knob that alows for a more convenient quick focus. All binoculars in this range come with a neoprene neck strap, rainguard and objective lens covers, microfiber lens cloth and padded field case. The Porro Prism Audubon binoculars were rated as "Best Buy" by Cornell Laboratory of Ornithology, Better View Desired, and the English publication, British Birds. Swift Premier HP Eaglet Binoculars are designed for use in all types of situations, from outdoor activities to law enforcement. 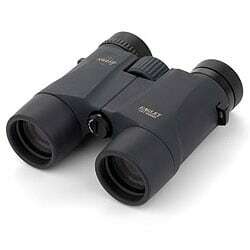 Swift Eaglet binoculars are a roof prism binocular with phase coating lenses that offer excellent optical quality. They features a Kellner Ocular System and three objective lenses to eliminate spherical aberration and reduce astigmatism. On top of this they have the latest in prism coating technology CFT, which stands for Cold Fusion Technology. CFT is the process of applying multiple coatings to the surface of each roof prism without using high temperatures, which helps protect the integrity of the prism surface and gives you increased reflective performance up to 99.8%. It also enhances brightness and color definition, meaning you can use the Eaglet in all types of lighting situations. These superior-quality binoculars with top-of-the-line features that are sure to enhance your viewing experience. The Swift Eaglet's also come with a 25-year limited manufacturer's warranty against defects in materials and workmanship as well as a neoprene neck strap, rainguard, and tethered objective lens covers, plus a microfiber lens cloth and padded field case.